BATON ROUGE — Radio executives agree that Morning Drive is the most important part of the broadcast day. “Morning Drive is the window to our stations. We have to back it up with great content throughout the day,” Clear Channel market manager Michael Hudson said Wednesday. Clear Channel owns WJBO, WYNK, The River, WFMF, and Downtown Radio. “There are two peaks in the day — morning and afternoon. The afternoon audience now exceeds the morning, but the morning is more important, because that’s where we attract the listeners and get them locked in,” Gordy Rush, market manager for Guaranty Broadcasting said. Guaranty owns The Eagle 98.1, The Tiger, Country Legends, ESPN radio, and Talk 107.3. “Morning is where you find the big personalities,” Rush said. And indeed Morning Drive is the most competitive part of the day. Personalities become household names. Morning Drive is a tough time to program. Gordy Rush of Guaranty says the average commute in Baton Rouge is only 20 to 25 minutes, and that’s the window Morning Drive has to be able to fill in listeners lives. “There’s a different clock in Morning Drive. It’s like a two-minute drill in football,” he said. “In the middle of the day, you can have more long-form programming. For us, Clarence Buggs and Bill Profita can go into depth. But in Morning Drive, people are in a hurry,” he said. That’s where the time, temperature and the latest news or at least the latest news headlines come in. “We have to be relevant to peoples’ lives. We always want to remember that we are talking to real people,” Hudson said. 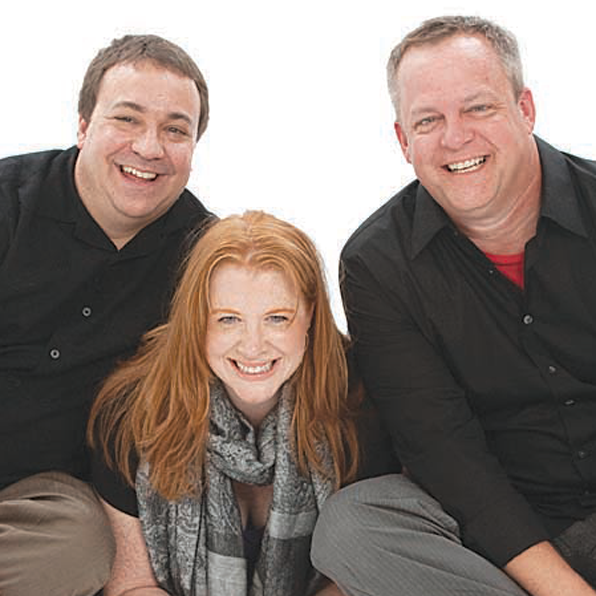 “Our Morning Drive personalities have to be credible and in tune with the listener. People on the way to work don’t want someone yelling at them,” he said. When is Morning Drive? Hudson points out that there are plant workers going to work at 5 a.m. So the day starts early for radio. What kind of person makes a great Morning Drive personality? Rush says he wants people with “star power” who can connect with people. Does it take a lot of education? Rush said it depends on the format. Ideally, the more the better but realistically, education is not the key in all situations. Voice is important, he says, and humor. Rush thinks the personality must be respectful of the listeners. He doesn’t believe listeners want hosts who are yelling at guests and talking over them. Clear Channel programming director Bruce Collins thinks the new/talk format requires personalities who are great communicators and great listeners. He cites Kevin Meeks and Karen Henderson as good examples of the qualities needed. “You want someone who is intelligent and has the gift of gab. Ideally, you want someone with a good education who knows a lot about everything. We target our listeners. We give the national stories and the local stories. Ideally, we also give you the local tie-in to the national story. A few days ago, a young man broke his leg playing in the Louisville vs. Duke basketball game, and everyone was talking about it. We brought in an orthopaedic surgeon who talked about how a break like that could occur and whether he could play again,” he said. Hudson believes a successful Morning Drive personality should be different, entertaining, relevant, informative, sincere, and believable. When a station takes a chance on a new personality, it takes time for that person to establish himself in the market, Hudson said. It also takes promotion, he added. Rush says it is important that the station be willing to spend money to get the word out about a new personality. When Matt Kennedy made the switch from WJBO to Talk 107.3, Guaranty spent $75,000 on advertising to let the public know Matt Kennedy was joining their team. Both Rush and Hudson emphasize that people are listening to radio on many platforms today. NEXT: Part IV of Capital Radio Wars will be on Afternoon Drive.